A.J. Banner, who made her mark in 2015 with her debut novel The Good Neighbor, is back with the psychological thriller After Nightfall, an intricately plotted novel that will keep its readers on a razor-sharp edge. When a dinner party ends in a shocking death, a web of secrets and lies unravels, leading a young woman to fear that the man who holds her heart captive may be the murderer. Marissa Palette, who lives in an idyllic coastal town in the Pacific Northwest, is living her dream. An elementary school teacher, she is engaged to the love of her life. The morning after an awful dinner party, Marissa is shocked to discover that her neighbor is dead on the beach, at the bottom of the cliff behind her house. This forces her to consider how well she knows those closest to her. On a search for answers into how this happened, Marissa digs deep into the events of the party. What she remembers after nightfall now carries sinister implications, whether it was the ugly sniping, the clandestine meetings, the drunken flirtations. Marissa should be celebrating her upcoming wedding, but she can't shake the image of her friend lying dead on the beach. She wonders whether she fell, was pushed down the cliff, or did she take a purposeful step into darkness? The more Marissa investigates, the more she questions everything she thought she knew about her friends, the man she once trusted, and even herself. Banner writes After Nightfall in the voice of Marissa, such as this part when she's cleaning up the day after the party with her fiance, "As Nathan and I unload the dishwasher, I imagine hurling each bowl against the wall, stomping on the glasses, smashing them. Who cares about piling the plates just so, arranging cups in the cabinet? I can't concentrate on ordinary tasks, when each moment becomes an exercise in endurance, haunted by Lauren's urgent voice. By everything she wanted to say. Last night night will always be our final dinner with her. The evidence lines up on the countertop - the wineglasses too delicate to run through the dishwasher. "I wash a glass beneath the faucet, washing and washing over and over until Nathan gently takes the wineglass from my hand. "I grip the sponge, feeling untethered, my feet barely touching the floor. If it weren't for gravity, I would have lifted off by now. We have the luxury of later, of planning the next hour, the next day, the next year. Lauren does not - so why should I bother? Any of us could die at any moment. I could slip, fall, and crack my head open. A car could swerve into my lane. I could get caught in a cross fire, collateral damage. "'Maybe you should sit down,' Nathan says, his hand on my elbow. "Nathan lets go of my elbow, towel dries the wineglass, and holds up the goblet to the light, checking for water spots. 'His patients need him. It's not like they can live without their hearts.' He puts the wineglass away in the cabinet. "'But he can live without his.' I reach into the dishwasher, bring out a mug that reads, Live life on purpose. But I don't know my purpose anymore, except as the keeper of memories - of those who have gone. My father, and before him, my grandparents. And now Lauren. "'Didn't he?' I reach into the dishwasher, pull out spoons, throw them into the cutlery drawer. 'How do you know he performs surgery to help others? What if it's just for his own sense of accomplishment? Or what if he enjoys cutting people open?' I shiver, pushing away the image of blood seeping out beneath Keith's scalpel. "'Maybe he does. He's got a dark side. You want to know what else he did when we were kids? He came in while I was taking a bubble bath and held me under the water. I was maybe five.'" 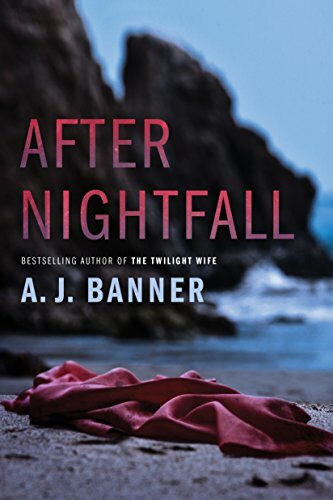 After Nightfall is a thriller that will keep you guessing, as everything could be a clue to what happened and nothing is as it seems. Thanks for sharing this article.It should always be stimulating to learn content from different writers and observe a little one thing from their store. I really want to express my gratitude to you.I want to read your articles.They are my cup of tea. When I was facing problems, I read your articles. I really want to express my gratitude to you.I want to read your articles.They are my cup of tea. You actually make it appear really easy with your presentation however I in finding this topic to be really one thing which I think I would by no means understand when I have time I will be back to read a lot more, Please do keep up the superb job.